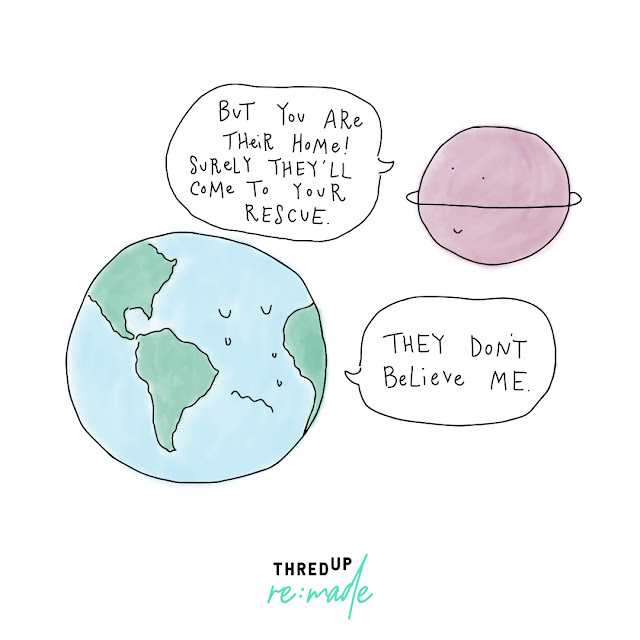 This year for Earth Day, ThredUP is doing something awesome. 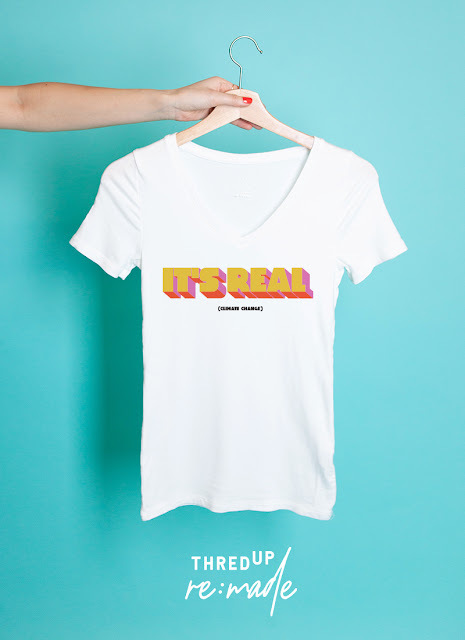 They are launching a new project called re:made where they are getting second hand white shirts, screen printing them with brand new art work and selling them on the ThredUP platform. They are giving new life to old clothes in an awesome eco-savvy way! 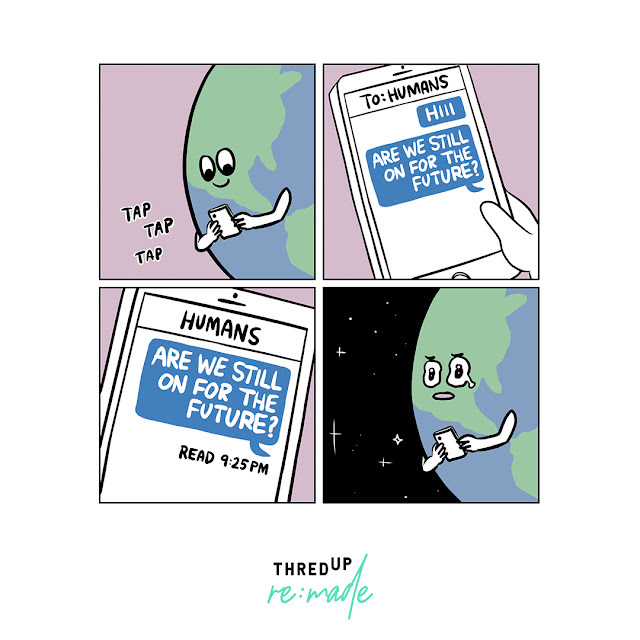 The artwork was created by a collection of independent artists who each made their own artistic response to climate change denial with cute, tongue-in-cheek designs. 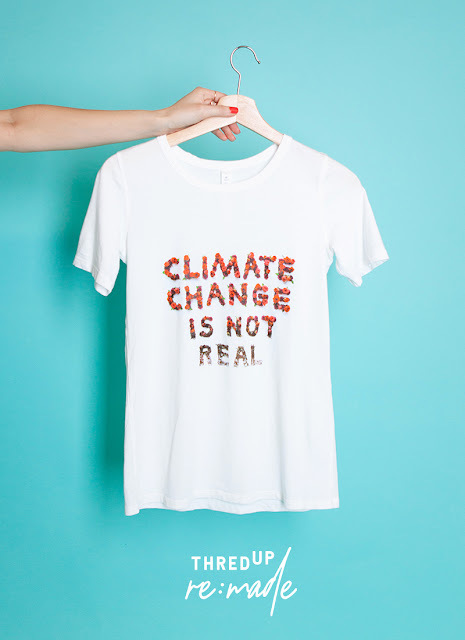 Not only that, but 100% of the profits from the sale of these shirts will benefit climate offset charity Cool Effect. Through their partnership with Cool Effect, the net proceeds from each t-shirt will purchase enough carbon offsets to keep 1 metric ton of CO2 from entering the atmosphere. That’s the equivalent to planting 95 trees that live for 10 years! Amazing! Twelve artists created awesome responses to the statement "climate change is not real." Here are samples of some of the Earth Day art they made. 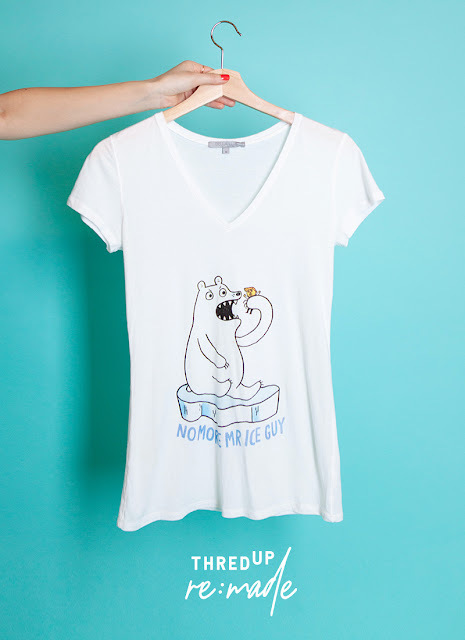 To see the full collection of Earth Day shirts, check them out on the ThredUP site. From Atticus (@atticuspoetry on Instagram) who makes beautiful, moody, visual poetry illustrations on Instagram. I think his is my favorite of the shirts. It's contemplative and simple and easy to wear lots of different ways. From Emily Blincoe (@emilyblincoe on Instagram), who takes beautiful photos and does photo based illustrations. I think the flowers fading to nothing through climate change denial is poetic, beautiful and sad all at once. These Earth Day shirts are going to sell FAST! Because ThredUP only sells secondhand clothing, their stock of these shirts is limited and they are expected to go very very quickly. 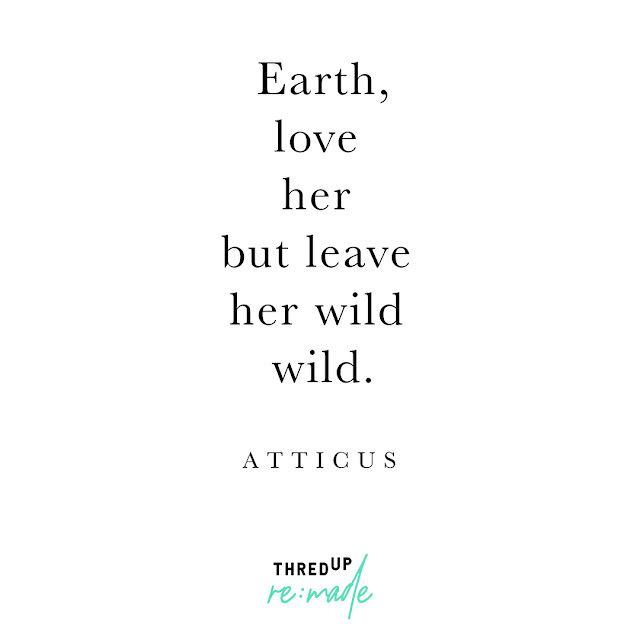 While you're over at ThredUP treat yourself to a new skirt, dress or pair of pants to go with your awesome new eco-friendly shirt. I'd love to see what you buy! 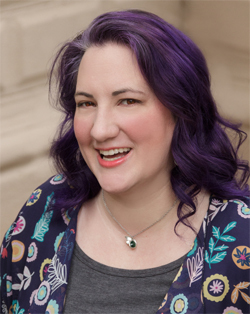 When your shirt or outfit comes in, post a picture in the Creative Green Living Tribe on Facebook. Sponsored post disclosure: This post was sponsored by ThredUP. All opinions expressed are 100% mine and reflect my authentic experience with this brand. I only recommend products I personally enjoy and think my readers will as well. For more information, see my full sponsored post and review policy.